One New Bailey is filling up, with the arrival of two more tenants who have recently moved in, bringing the total occupancy to 74 per cent. After first announcing its intention to relocate to One New Bailey in October 2015, the multinational law firm, Freshfields Bruckhaus Deringer, completed its move to the building in July, taking 80,000 sq. ft. across five floors. The company, which assists some of the world’s largest organisations in major business decisions and challenges, has relocated 700 staff to its new offices on the banks of the River Irwell as the long-term base for its Global Centre. 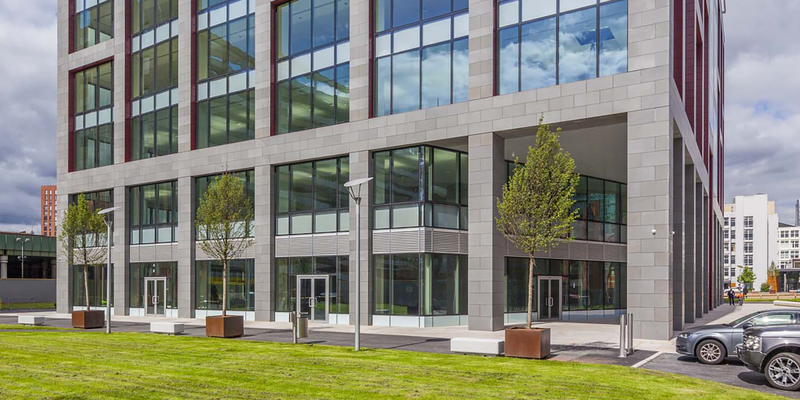 WH Ireland has also completed its fit out after exchanging contracts with English Cities Fund (ECf) in June this year. The financial services company will occupy 6,610 sq. ft. on the first floor of the building where it hopes to grow its wealth management and planning teams. With the move from its existing offices in St James’s Square to One New Bailey, WH Ireland hopes to strengthen its presence in Manchester, a city with which its roots go back to the 19th century. Phil Mayall, development director at ECf, said: “With these two diverse tenants moving into One New Bailey, the building is now really coming to life and cementing itself as a premier business destination. Freshfields and WH Ireland are joined at One New Bailey by unique, experiential dining restaurant, Menagerie.